We stock the largest selection horse spurs in the industry. At Horse Tack Now you will find all the horse tack products you need. You can see the high quality craftsmanship used to make these Antique Western Spurs in the picture above. 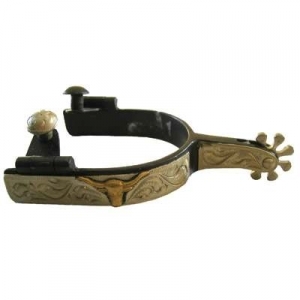 We have the biggest collection of the spurs in the market at the lowest prices guaranteed. These Antique Western Spurs are on of our most popular Spurs.